Chowbacca! : Instant Pot 6 Quart Pressure Cooker is ON SALE!!! Chowbacca! Approved Price Alert! Instant Pot 6 Quart Pressure Cooker is ON SALE!!! Chowbacca! Approved Price Alert! 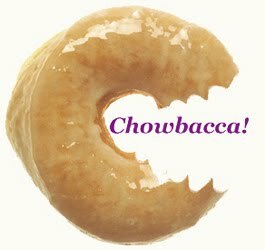 Our own 99% Bittersweet has notified Chowbacca! Central that one of her favorite kitchen devices, the Instant Pot IP-DUO Plus60 9-in-1 Multi-Functional Pressure Cooker (6 Quart) is on sale! I was just reading about this thing, and it sounds fantastic. If I didn't already have a great pressure cooker, I'd be all over this like ... well, like a lid on a pressure cooker, but YOU, loyal reader, YOU need one of these like ... well, just go read about it through the link above!